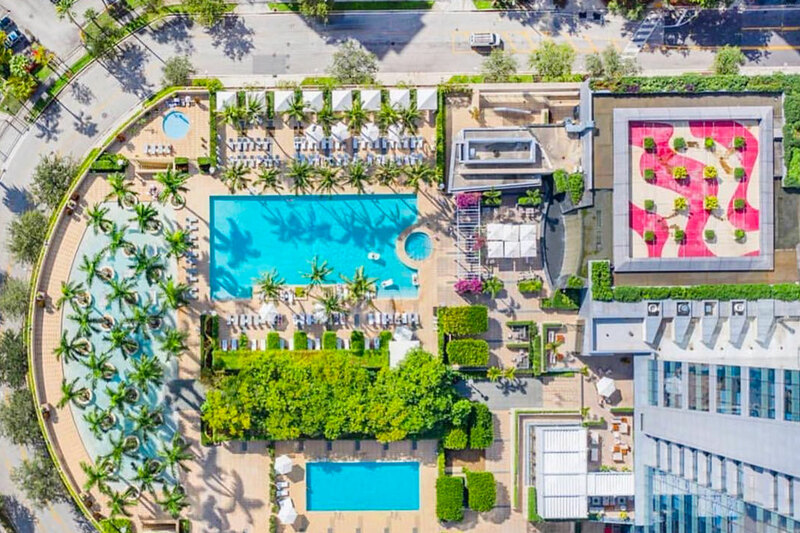 A paradise oasis located in the heart of downtown Miami on Brickell Avenue, the AAA Five Diamond Four Seasons is the perfect spot to spend a relaxing and luxurious day with friends and family. Lounge poolside with a cocktail and take a refreshing dip in the resort-style pool. 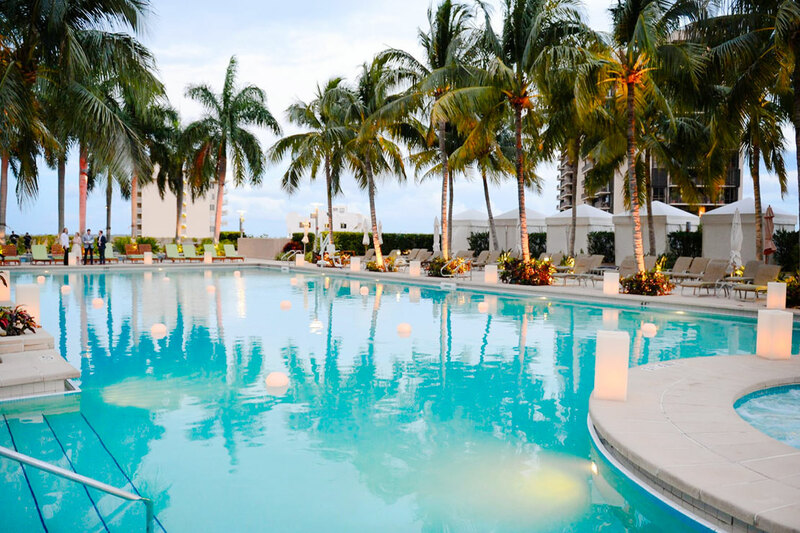 The Palm Grove wading pool features hammocks suspended from palm trees, perfect for lazy afternoons, and the enclosed, shallow Kids' Pool is a delight for young guests. 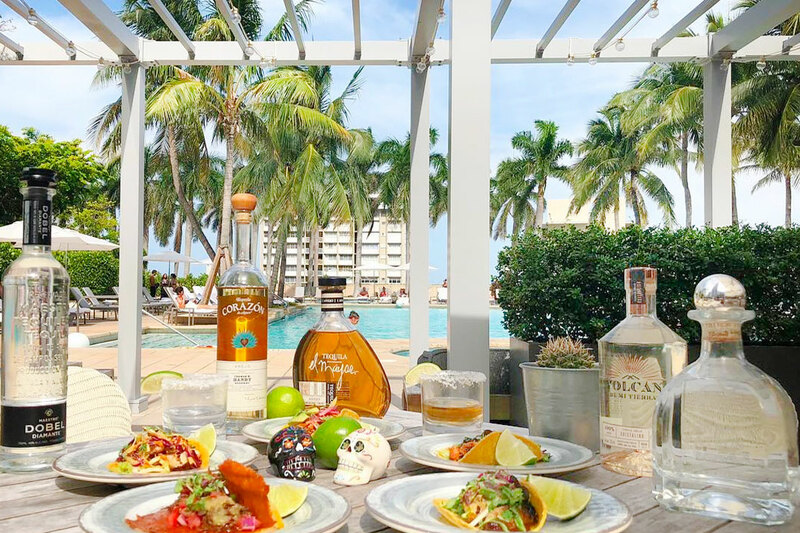 Dine poolside with fresh dishes such as fish tacos, seafood ceviche, or delicious frozen paleta bars. 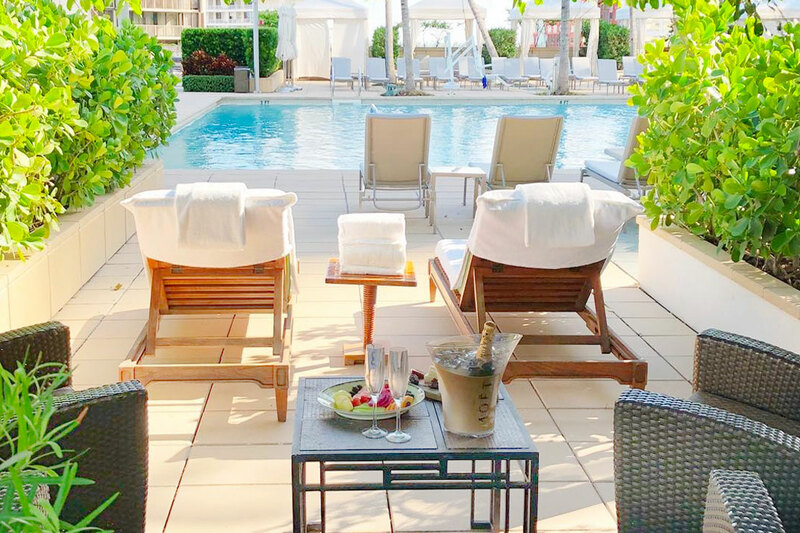 Book a private cabana for the ultimate comfort and luxury. 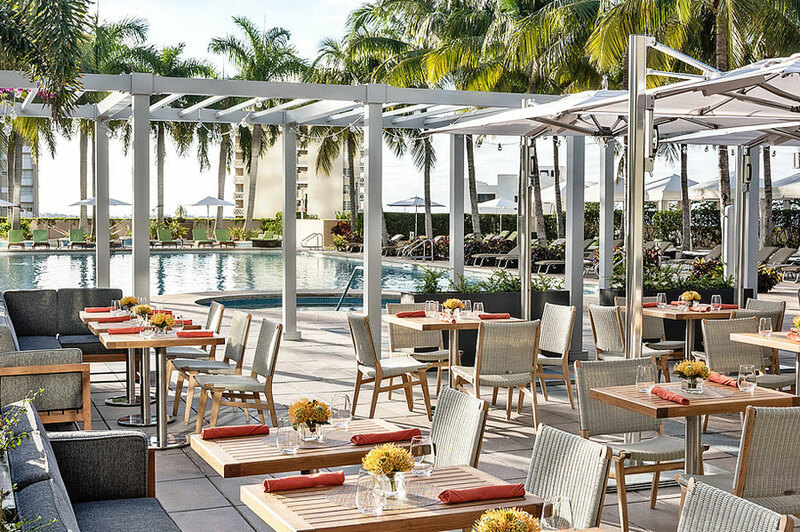 With ocean breezes and views of Biscayne Bay, a "daycation" at the Four Seasons Hotel Miami is an idyllic and tranquil experience. Day Passes can be cancelled by 11:59pm EST on the night before your booked date. April 10, 2019 Donnavett S.
It was a truly awesome day. The staff was great. Nick the pool attendant was great checked in us alot and never had to wait long on anything. I'll be this all summer! March 29, 2019 Susan C.
My second visit, and I'll be back. Beautiful pool, good service, relaxing day. March 28, 2019 J M.
Great service and lovely location! It was a wonderful day in a wonderful oasis! I would definitely go back. March 28, 2019 Sabrina F.
March 25, 2019 Debra M.
The service was outstanding. The pool was beautiful. The cabana was not at all what the Four Seasons represented. It was two lounge chairs which was fine, and then the set-up behind was a rattan loveseat and two chairs and a table. The furniture was old, dirty, and had leaves and brainched all over it, and I had to ask for it to be cleaned because we could not sit down. There were no spritzers, no complimentary food, or anything remotely close to what I thought it would be. I had a great day, but my expectations, were not met at all. Spending $300 on a cabana should be enough for 1 ammenity, but there was nothing! I spent another $250 on food, I am not cheap, but I did not expect to have to pay for all of that on top of the cabana fee based on their advertisement. Perhaps, I did not read it correctly, but that was my interpretation. 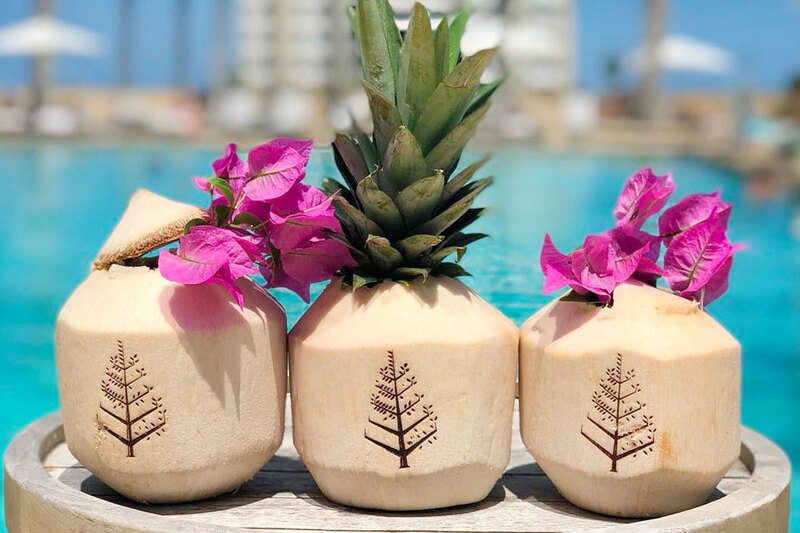 March 18, 2019 Emily W.
We were getting off a cruise with our flight not until 6pm and I couldn't be happier that I found Resort Pass and the Four Seasons Miami! I think now I will purposely delay my flights out after cruises (we do several a year so this was a great find for me) as this let me wind down from the vacation without just being off the ship and to a crowded airport. What better way to ease back in to post vacation reality with a little extension! The Four Seasons delivered on high expectations for the brand and the property was great. Staff was attentive without being overbearing, good food and drink options and a beautiful space that wasn't over crowded and offered a mix of families, couples, friends, etc. I was traveling with my spouse and 7 year old son and we all enjoyed the pool and the couple extra hours to relax. March 11, 2019 Ivan E.
March 7, 2019 Barbara V.
February 19, 2019 JaCee B. The pool was beautiful! Peaceful and relaxing. However the service was seriously lacking! Food orders took over 45 minutes to wait, and no checking back refilling drinks. For the cost of the day pass, I expected more. 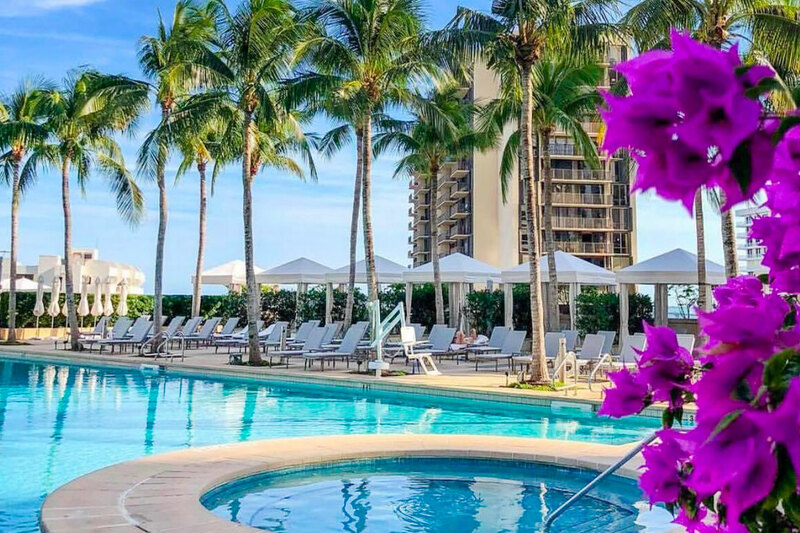 February 17, 2019 Alberto C.
I want to thank the Four Seasons For helping to create a wonderful 21st birthday for our daughter. We had pool passes for 4 and the Service was wonderful, lunch was delicious and unknown to us, our daughter had mentioned to Henry, one of the attendants that it was her birthday. Henry showed up with a beautiful piece of cake with “Happy Birthday” written on chocolate. We felt like we were on vacation and appreciated being treated like hotel guests. I have been recommending this to friends!